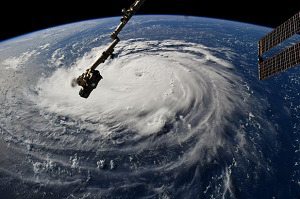 In preparation for Category 4 Hurricane Florence’s expected arrival on Thursday, Sept. 13, over 25 colleges and universities in Virginia and The Carolina’s have canceled classes as early as Monday, Sept. 10. Some institutions have even encouraged students to evacuate campus to safer grounds or remain and stay indoors, depending on Florence’s predicted path. Most campuses will be closed until Monday, Sept. 17. East Carolina University (ECU) is among the several institutions requiring its students and faculty to evacuate campus in preparation for the storm and will help those who don’t have reliable transportation evacuate safely. Other institutions that have cancelled classes and/or have closed their campus include UNC Wilmington, Chapel Hill; Old Dominion University; University of South Carolina; Rappahannock Community College; Coastal Carolina University; The Citadel; Christopher Newport University; Virginia Commonwealth University; South Carolina State University; the College of Charleston. Monica Levitan can be reached at mlevitan@diverseeducation.com. You can follow her on Twitter @monlevy_.